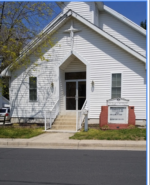 The Dover District of the Delaware Conference has twenty (20) local church congregations that are south of the Delaware Canal and primarily located in Kent and Sussex County Delaware. Most of the churches in the Dover District are in suburban or rural settings and have been established for decades with a large family atmosphere and presence. Thank you for your interest in the work and witness of Mt. Zion. Below are some FAQs. If you have additional questions, please call or email us. The Morning Worship Experience begins at 10:30 a.m on Sunday. How do I connect with the church? Free Van transportation is available on Sunday mornings. To reserve your spot, please contact the church office by 2pm on Friday. When you arrive at Mt. Zion, we invite you to park on the street or in one of our parking lots. There are several handicap spaces located around the church. If you need special assistance, please call the church and we will be glad to you. Mt. Zion is handicap accessible. Once inside you will be greeted and if needed, someone will be happy to guide you direct you to the sanctuary or one of the classrooms.